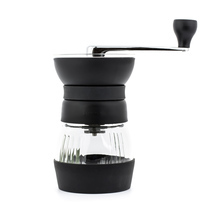 Timemore Nano is a perfect solution for those looking for a small grinder that does not compromise the grinding quality. 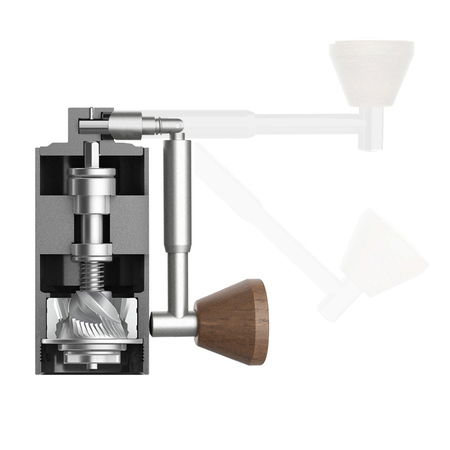 The grinder is designed to meet the expectations of travelling coffee lovers. 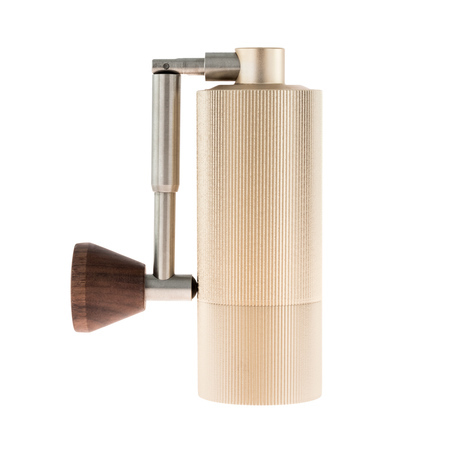 It is only 10cm high, its body is made from one piece of aluminum, and it has a walnut handle knob - elegant and durable. Patterned texture allows for firm grip and makes grinding easier. What is unique about the grinder is the handle with spring folding structure It can be easily folded up like a spring knife. Convenient for storage and easy to carry. Another advantage of the grinder are the conical burrs made of hardened stainless steel. Combined with stable axle, they provide even grind at ever step of the coarseness scale. 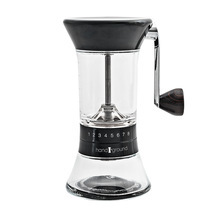 The Nano Grinder may hold up to 15g of beans.